Camping is one of the greatest outdoor activities you can enjoy in your spare time. It will teach you a lot of new things about you and your family, including how evolved your survival skills are. Nevertheless, in order to create a memorable experience each time you go camping, you’ll require some of the best camping tools and gear. We hope that our following product suggestions will help you enjoy each camping day and create happy memories for you, your friends, and your family members. This tent is available in two different colors and you can choose the option with two included sleeping bags or the tent and sealer set. The tent is made of top-quality polyester and can be easily set up in just 10 minutes. The product is large enough to comfortably accommodate four adults so you can enjoy happy camping days by the lake or in the forest alongside your best friends or other family members. The item features a patented technology for a waterproof design reliable in any season. The tent also comes with large windows and a ground vent to provide improved air ventilation and a comfortable sleep. 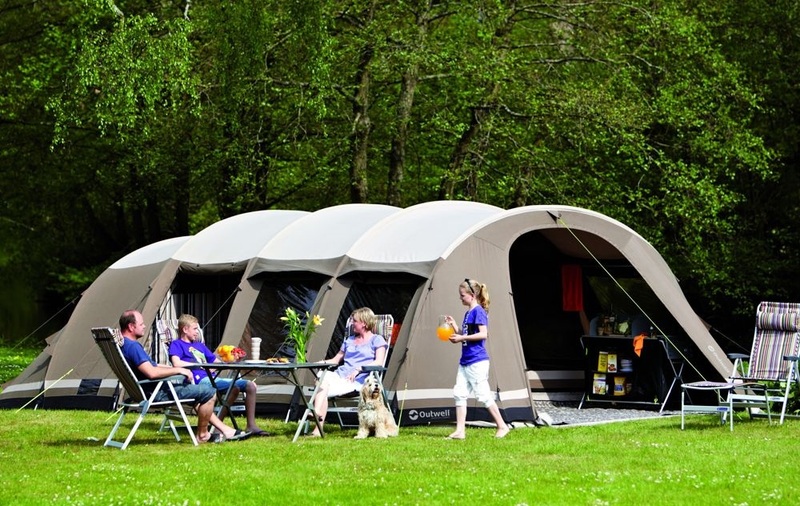 This spacious tent is everything you need to take your entire family with you out camping. The six-person tent features enough room to stretch, sleep comfortably, and to add two queen size air beds (not included) that will certainly create more comfort. What we like about this tent is the separate floorless screen room that will help you stay away from bugs, ants, and other ground insects. It comes with a rainfly and expandable carrying bag so you can easily pack and unpack the tent in a matter of minutes. In addition, the item features a great WeatherTec system that provides a 100% waterproof design, keeping you dry even during the rainy season and strong storms. This cabin tent is spacious enough to help you throw an entire party inside. You can have the ultimate camping experience without even getting out of the tent. This product is large enough to comfortably accommodate up to 8 adults and comes with a built-in closet with shelves, and a hanger bar. This way you’ll get all your stuff organized and be ready for endless nights of stories and great fun inside the tent. It even comes with a room divider for extra privacy for those who want to sleep alone. The tent features a patented system with welded floors that will keep you dry. It is also waterproof. The tent comes in two different color choices and is large enough to provide shelter for up to 8 adults. It measures 16-feet by 11-feet and is tall enough to stand inside. It is made of weather-resistant polyester with an extra polyurethane coating to keep you warm and dry during almost all weather conditions. The tent allows you to opt for a full mesh roof to gaze at the stars and have more natural light during the day as well. The included screened-in porch works as a sunroom or a second sleeping room for those who like a little bit of privacy. This great camping gadget is perfect to accommodate up to 8 adults so you can easily bring all your closest friends and family members in an unforgettable camping adventure. The item comes in three different sizes and provides a spacious design to help all eight people sleep comfortably and enjoy their time inside the tent. What we like about this tent is that it comes with included dividers that allow you to create three separate rooms for those who want to enjoy a little bit of privacy. The product is easy to set up and pack away. It comes with separate bags for the poles, the stakes, and the tent. The product is available in three vibrant colors that will certainly stand out in the woods or in any camping facility. It also comes in three different sizes to accommodate between two and four adult persons. The item features a heavy-duty 1000 den polyethylene bathtub floor to ensure stability, durability, and keep you away from leaks or humidity. The tent is made of top-quality polyester and features a 450mm-rated coating that will keep you safe from water, storms, and even harmful UV rays. The entrance is represented by a main large side door and the tent is also equipped with large windows to ensure maximum visibility. If you want to enjoy an unforgettable camping experience, try living under the same tent with eight other people. This Prairie tent provides a comfortable and spacious wilderness residence you can enjoy alongside your best friends or family members. The tent is large enough to comfortably fit 9 adult people and the included dividers allow you to create separate rooms for those in need of privacy. It comes with a LED lighting fan system that will guide through the dark nights and help you maintain a comfortable environment. However, make sure to bring your own batteries if you want to create a beautiful light in the tent and make it perfect for storytelling at midnight. Those who enjoy sleeping in a tent but are not exactly fond of fighting with bugs and ants all day long will probably find this SUV tent appealing. It comes in various sizes to accommodate different models of cars and trucks. A truck tent is the ultimate camping experience if you want to sleep in a safe and comfortable place, away from the wet ground. The sew-in floor will protect you against humidity, dirt, and debris. The tent is large enough for two adult people and can be used during spring, summer, and early autumn. Ready for a new adventure in the back of your car? The new Guide Gear tent is equipped with everything necessary for you to have a wonderful camping experience and a nice weekend getaway. The item is equipped with a sewed-in polyethylene floor and features a large and comfortable interior that can accommodate two adults. The tent also comes with two mesh windows to ensure proper ventilation, as well as two additional storage pockets to put in your essentials. The tent is easy to mount and is compatible with a wide array of full-sized pickups from Chevrolet, GMC, Nissan, Ford, Toyota, and others. If you’re looking for new camping gear items to help you easily set up a tent, this kit is definitely a good choice for you. It is packed with everything you need to ensure an easy and hassle-free setup in just a matter of minutes. It features four 10-inch steel tent pegs with regular flat striking head to help you secure the tent in the desired position in no time. The kit also contains a rubber mallet, a nesting hand broom, a dustpan, and a steel rod stake puller all packed in an included mesh carry bag for easy transportation and storage. People who own tents have been scientifically proven to be happier. We didn’t read that anywhere yet, but you must admit it’s a statement that wouldn’t surprise you. 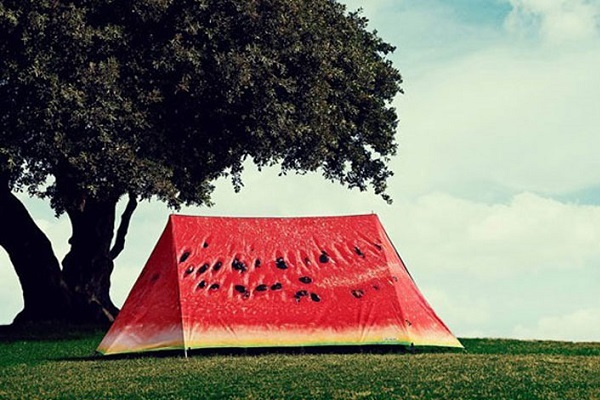 Still, you would be even happier if you could find the tent right away and buy it. That’s always been a bit tricky, and it usually turns people miserable because there is so much information to read and so many options that it seems like the search could last forever. More experienced campers could be more determined and decide in advance some of the important things they must look for, like style and size. Even so, structured information is the best way to find just what you need. But unless you make time to read a large number of descriptions and reviews, you might find yourself in front of the wrong choices. Since this is a major step and could alter your camping experience as well as your budget balance, we think it would be wise if you followed some of the advice we prepared for you. The helpful guide below draws some of the important lines you need to be aware of when you’re looking for a quality tent. We faced the problems that most campers have when they need to choose camping gadgets and we summarized as much as we could the things you should have in mind when you want to buy a tent. When you take a look at the information in the product’s description, it’s likely you will find the dimensions of the floor and the maximum height. This will help you understand how the tent is designed. The peak height gives you an idea about whether you can stand up when you’re inside. But that information is limited since most of the 2-persons tents with an average of 30-35 sq feet of floor surface have about 40 inches in peak height. The 6-persons models have about 80-90 sq feet floor area and 70 inches height. For a better image of what you can actually do in a tent, you need to consider the slopes and pole design. A good camping tent has the pole structure arranged in a manner that allows you to walk inside a tent with almost vertical walls, creating a great deal of livable space. You must be cautious when it comes to the number of persons. The best tents reviews are pretty clear about the fact that you should expect less than you tend to imagine. The standards can be largely explained as follows. If you pick a 1-person tent, you’re the solo adventurer who needs to move fast and keep light. The 2-person tent is great for one individual because it usually allows you to keep some of the stuff inside and you get a good ratio of space and height. In case you need room for more, order a larger tent. The number of persons on the listing is usually given by the number of sleeping pads that fit on the floor, but if you don’t like crowds, a 4-person tent is good for three while a 6-person tent is enough for 5. That’s how you should do the math. Theoretically, the numbers on the listing are correct, but people need room for more than just lying stiffly on the floor, that’s why you should read it differently. There’s also the problem of pad size. In case people use bigger sleeping pads or prefer air mattresses, there will be little room for anything else. When you have in mind a small capacity tent, one door will do just fine, but when you have your eyes on large capacity ones, most people agree that two doors are needed. Cool tents provide you with a second door so that you don’t step on one another on the way out. Crawling over your tent buddies and wrestling with backpacks on the way out is not ideal for a resting night. However, if you’re low on money, budget tents will provide you with a large opening. There’s one important must have for the tent you’re about to purchase, and that is a storage area. A vestibule or garage is usually made possible by an extension, a rain fly coverage that stores camping gear items and other stuff you need to put away during the night or rainy weather. The benefits of having such a space at your disposal are obvious. You’ll be keeping your gear dry and also save space inside the tent. Plus, leaving some of your stuff outside, without any protection, is never a good idea. Any reliable camping tent should be your shelter not only against the rain, wind or snow but also on hot summer nights when the air is barely breathable. That’s when you’ll need to use the tent without being instantly cooked. A mesh panel on the side of the tent is how ventilation usually works. The bigger the piece of mesh, the more air you’ll be getting. Keep in mind that you’ll need to keep the rainfly open for that and in case you need to use it for something different, you would have to use roof vents or roll up features. A simple setup is key to loving your tent. The more complicated it is, the more there’s a chance you’ll be struggling with it. When a few minutes are critical and make the difference between staying dry and sleeping in wet clothes, easy setup is not neglectable. You’ll notice there are free-standing tents for sale and they’re easy to pitch. The other type, using stakes and trekking poles, takes more time and skills to pitch, but it could be worth it. Remember that these are just some of things you need to consider and that you shouldn’t dismiss the others as unimportant. The quality of the build, for instance, is always a priority. Other issues, like weather resistance, packing and weight must be given some thought. As for choosing season rating and a construction able to withstand heavy rains and strong winds, these all depend on where and when you need to go, but you have to take the matter seriously.